Private (PVT) is the lowest enlisted rank in the United States Army hierarchy, and is the entry-level rank for trainees beginning Basic Combat Training (BCT). 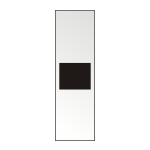 Entry-level Privates do not wear any rank insignia, and may be referred to as "recruits", "trainees", or informally as "fuzzies," which is referring to the blank black velcro patch on a PVT's uniform sleeve, that will later hold their rank insignia. The primary responsibility of a Private is to obey the orders of their superior officers to the best of their abilities. A PVT will be automatically promoted to pay grade PV2 after six monthes of service. Private is the 1st rank in the United States Army . A private is an Enlisted Soldier at DoD paygrade E-1, with a starting monthly pay of $1,638. How do you become a Private? The rank of Private is attained by all those who enlist in the United States Army. 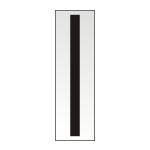 Upon successful completion of Basic Training, this rank is attained until arrival at an active unit in the Army, whereupon all Privates proceed to the next rank. 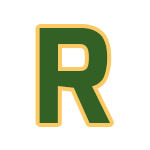 Oftentimes, when soldiers are demoted or found guilty of serious wrongdoing, they will hold this rank of private until they either proceed back through the ranks or are separated from the Army. What is the proper way to address a Private? The correct way to address a Private named Mr. Williams is "Private Williams", or written as PVT Williams. In formal situations, a Private should always be addressed by their full rank. Private (PV2) is the second-lowest paygrade in the Army's ranking hierarchy, directly above Private (PVT), or recruit. 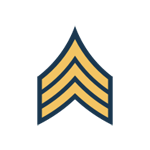 A Private (PV2) wears a rank insignia of a single chevron, an inverted yellow V, unlike a Private (PVT) who wears no rank insignia. A Private's main duties are to follow the orders of their superior officer(s) to the best of their ability. Incoming recruits are promoted to the rank of Private (PV2) automatically after six months, and some recruits with prior experience may enter Basic Training with an automatic promotion to Private (PV2). Private Second Class is the 2nd rank in the United States Army, ranking above Private and directly below Private First Class. A private second class is an Enlisted Soldier at DoD paygrade E-2, with a starting monthly pay of $1,836. Private First Class (PFC) is the third lowest Army rank, directly above Private (PV2). 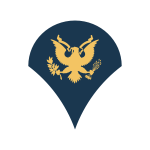 Privates will be automatically promoted to the rank of PFC after one year of service, or possibly earlier at the discretion of their commanding officer. Soldiers entering Basic Training with prior military training, such as JROTC, an Associate's Degree, or the rank of Eagle Scout in the Boy Scouts are entitled to an automatic promotion to Private First Class on enlistment. The primary role of a PFC is to carry out the orders issued by their commanding officers. Upon attaining the rank of PFC, most soldiers will eventually advance to either the the rank of Specialist or Corporal. Private First Class is the 3rd rank in the United States Army, ranking above Private Second Class and directly below Specialist. A private first class is an Enlisted Soldier at DoD paygrade E-3, with a starting monthly pay of $1,931. How do you become a Private First Class? A Private First Class is most often promoted from Private Second Class (PV2), although promotion from lower paygrades may occur with sufficient display of leadership and experience. The rank of PFC is attained by all Privates Second Class after a year in service or earlier at the request of superiors as a reward for sustained good performance. Privates attaining this third level of this class are assigned even greater responsibility at the individual level, such as being assigned as a machine gunner or other more complicated weapon systems, and expected to master it and continue to execute orders to the best of their ability. What is the proper way to address a Private First Class? The correct way to address a Private First Class named Mr. Williams is "Private Williams", or written as PFC Williams. In formal situations, a Private First Class should always be addressed by their full rank. Specialist is the most common rank advancement available to a Private First Class, and becomes available after two years of service and upon completion of a leadership and officer candidate training course. Recruits who enlist in the Army with a four-year bachelor’s degree, or desired civilian skills and experiences, may be entitled to enter the Army as a Specialist. Specialist is the 4th rank in the United States Army, ranking above Private First Class and directly below Corporal. A specialist is an Enlisted Soldier at DoD paygrade E-4, with a starting monthly pay of $2,139. Corporal is the 5th rank in the United States Army , ranking above Specialist and directly below Sergeant. A corporal is a Noncommissioned Officer at DoD paygrade E-4, with a starting monthly pay of $2,139. A Corporal is most often promoted from Specialist (SPC), although promotion from lower paygrades may occur with sufficient display of leadership and experience. Click here to learn more about promotion to Corporal. A Sergeant First Class (SFC) is the first senior non-commissioned officer, and is most commonly assigned the role of Platoon Sergeant to serve as chief advisor and assistant to the Platoon Leader. An SFC usually has 15-18 years of Army experience, and may be in command of as many as 40 soldiers in a rifle platoon or 18 soldiers and 4 tanks in an armor platoon. Sergeant First Class is the 8th rank in the United States Army, ranking above Staff Sergeant and directly below Master Sergeant. A sergeant first class is a Noncommissioned Officer at DoD paygrade E-7, with a starting monthly pay of $2,944. How do you become a Sergeant First Class? 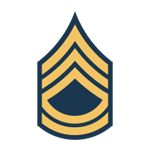 A Sergeant First Class is most often promoted from Staff Sergeant (SSG), although promotion from lower paygrades may occur with sufficient display of leadership and experience. 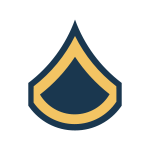 Click here to learn more about promotion to Sergeant First Class. What is the proper way to address a Sergeant First Class? The correct way to address a Sergeant First Class named Mr. Williams is "Sergeant Williams", or written as SFC Williams. In formal situations, a Sergeant First Class should always be addressed by their full rank. A Master Sergeant is a senior non-commissioned officer (NCO) who serves as a brigade's NCO in Charge, equal in paygrade to a First Sergeant but with less leadership responsibilities than one. A Master Sergeant is often specialized in certain field or subject matter. 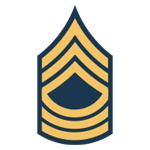 Master Sergeant is the 9th rank in the United States Army, ranking above Sergeant First Class and directly below First Sergeant. A master sergeant is a Noncommissioned Officer at DoD paygrade E-8, with a starting monthly pay of $4,235. How do you become a Master Sergeant? 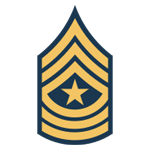 A Master Sergeant is most often promoted from Sergeant First Class (SFC), although promotion from lower paygrades may occur with sufficient display of leadership and experience. Click here to learn more about promotion to Master Sergeant. What is the proper way to address a Master Sergeant? The correct way to address a Master Sergeant named Mr. Miller is "Sergeant Miller", or written as MSG Miller. In formal situations, a Master Sergeant should always be addressed by their full rank. 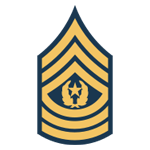 First Sergeant is the 10th rank in the United States Army , ranking above Master Sergeant and directly below Sergeant Major. A first sergeant is a Noncommissioned Officer at DoD paygrade E-8, with a starting monthly pay of $4,235. How do you become a First Sergeant? A First Sergeant is most often promoted from Master Sergeant (MSG), although promotion from lower paygrades may occur with sufficient display of leadership and experience. Click here to learn more about promotion to First Sergeant. What is the proper way to address a First Sergeant? The correct way to address a First Sergeant named Mr. Jones is "First Sergeant Jones", or written as 1SG Jones. 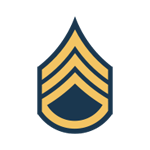 In formal situations, a First Sergeant should always be addressed by their full rank. Command Sergeant Major is the 12th rank in the United States Army, ranking above Sergeant Major and directly below Sergeant Major of the Army. A command sergeant major is a Noncommissioned Officer at DoD paygrade E-9, with a starting monthly pay of $5,174. Command Sergeants Major share promotion requirements with Sergeants Major “in much the same way that Master Sergeants and First Sergeants do” as they hold the same grade. Sergeant Major of the Army is a special / ceremonial rank, so promotions don't occur in the same way as with a traditional Army rank promotion. 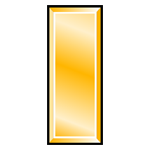 Warrant Officer 1 (WO1) is the first and lowest Warrant Officer rank in the Unites States Army. To be appointed as a Warrant Officer one must be proficient both at leading and their technical specialty. Enlisted members who wish to join the Warrant Officer program must submit a written application. These applications are then looked over by commanders, to make sure the applicant meets all eligibility requirements. They are then submitted as recommended with enthusiasm, confidence, reservation, or not recommended. They are officially appointed by the Secretary of the Army. Responsibilities of a Warrant Officer are ones that would typically call for the authority of a commissioned officer but require also the intricate technical abilities and experience a commissioned officer would not have has the opportunity to achieve. 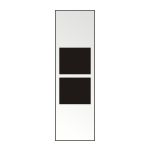 The rank insignia of a Warrant Officer is a vertical silver bar that has one black stripe in the middle of it. 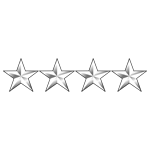 Warrant Officer 1 is the 14th rank in the United States Army, ranking above Sergeant Major of the Army and directly below Chief Warrant Officer 2. 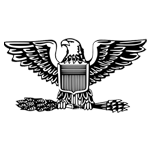 A warrant officer 1 is a Warrant Officer at DoD paygrade W-1, with a starting monthly pay of $3,038. How do you become a Warrant Officer 1? 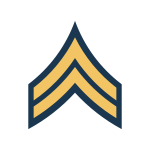 A Warrant Officer 1 is most often promoted from Sergeant Major of the Army (SMA), although promotion from lower paygrades may occur with sufficient display of leadership and experience. Click here to learn more about promotion to Warrant Officer 1. What is the proper way to address a Warrant Officer 1? The correct way to address a Warrant Officer 1 named Mr. Gutierrez is "Mr. Gutierrez or Chief Gutierrez", or written as WO1 Gutierrez. In formal situations, a Warrant Officer 1 should always be addressed by their full rank. Chief Warrant Officer 2 (CW2) is the second Warrant Officer rank in the Unites States Army. They are officially appointed by the Secretary of the Army. They are intermediate level experts of both the technical and tactical aspects of leading in their field. Responsibilities of a Chief Warrant Officer 2 are ones that would typically call for the authority of a commissioned officer but require also the intricate technical abilities and experience a commissioned officer would not have has the opportunity to achieve. They have responsibilities of leading at the battalion level. 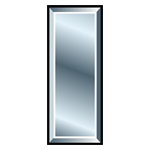 The rank insignia of a Chief Warrant Officer 2 is the same as a Warrant Officer 1's, but it is a vertical silver bar with two black stripes within it, instead of just one. Chief Warrant Officer 2 is the 15th rank in the United States Army, ranking above Warrant Officer 1 and directly below Chief Warrant Officer 3. A chief warrant officer 2 is a Warrant Officer at DoD paygrade W-2, with a starting monthly pay of $3,461. A Chief Warrant Officer 2 is most often promoted from Warrant Officer 1 (WO1), although promotion from lower paygrades may occur with sufficient display of leadership and experience. Click here to learn more about promotion to Chief Warrant Officer 2. The correct way to address a Chief Warrant Officer 2 named Mr. Gutierrez is "Mr. Gutierrez or Chief Gutierrez", or written as CW2 Gutierrez. In formal situations, a Chief Warrant Officer 2 should always be addressed by their full rank. Chief Warrant Officer 3 (CW3) is the third Warrant Officer rank in the Unites States Army. They are officially appointed by the Secretary of the Army. They are advanced level experts of both the technical and tactical aspects of leading in their field. Responsibilities of a Chief Warrant Officer 2 are ones that would typically call for the authority of a commissioned officer but require also the intricate technical abilities and experience a commissioned officer would not have has the opportunity to achieve. They provide the guidance, assistance and supervision their subordinates need to perform their duties. They typically support operations from team to brigade levels. The correct way to address a Chief Warrant Officer 3 named Mr. Miller is "Mr. Miller or Chief Miller” or written as CW3 Miller. In formal situations, a Chief Warrant Officer 3 should always be addressed by their full rank. Chief Warrant Officer 4 (CW4) is the fourth Warrant Officer rank in the Unites States Army. They are officially appointed by the Secretary of the Army. They are senior level experts of both the technical and tactical aspects of leading in their field. Responsibilities of a Chief Warrant Officer 2 are ones that would typically call for the authority of a commissioned officer but require also the intricate technical abilities and experience a commissioned officer would not have has the opportunity to achieve. They are mentors to the lower Warrant Officers and speak to commanders about WO issues. They typically support operations at battalion, brigade, division, corps, and echelons levels above corps operations. 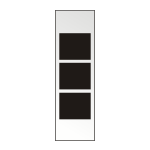 The rank insignia of a Chief Warrant Officer 4 is the same as a Chief Warrant Officer 3's, but it has four horizontal black stripes on a vertical silver bar, instead of three. 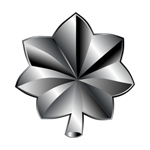 Chief Warrant Officer 4 is the 17th rank in the United States Army, ranking above Chief Warrant Officer 3 and directly below Chief Warrant Officer 5. A chief warrant officer 4 is a Warrant Officer at DoD paygrade W-4, with a starting monthly pay of $4,283. 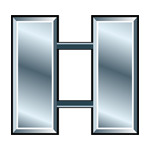 A Chief Warrant Officer 4 is most often promoted from Chief Warrant Officer 3 (CW3), although promotion from lower paygrades may occur with sufficient display of leadership and experience. Click here to learn more about promotion to Chief Warrant Officer 4. The correct way to address a Chief Warrant Officer 4 named Mr. Jones is "Mr. Jones or Chief Jones” or written as CW4 Jones. In formal situations, a Chief Warrant Officer 4 should always be addressed by their full rank. Chief Warrant Officer 5 (CW5) is the fifth, and highest, Warrant Officer rank in the Unites States Army. They are officially appointed by the Secretary of the Army. They are master level experts of both the technical and tactical aspects of leading in their field. CW5s have extra leadership and representation responsibilities as well as the typical Warrant Officer responsibilities. Responsibilities of a Chief Warrant Officer 5 require intricate technical abilities and experience. They help with leader development, mentor-ship and advising Warrant and Branch Officers. They typically support operations at battalion, brigade, division, corps, and echelons levels above corps and other major operations. 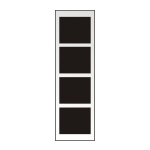 The rank insignia of a Chief Warrant Officer 5 is very different from the other Warrant Officer rank insignias; it has three vertical stripes, the outer stripes are silver while the center stripe is black. Chief Warrant Officer 5 is the 18th rank in the United States Army, ranking above Chief Warrant Officer 4 and directly below Second Lieutenant. A chief warrant officer 5 is a Warrant Officer at DoD paygrade W-5, with a starting monthly pay of $7,615. 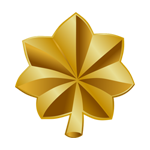 A Chief Warrant Officer 5 is most often promoted from Chief Warrant Officer 4 (CW4), although promotion from lower paygrades may occur with sufficient display of leadership and experience. Click here to learn more about promotion to Chief Warrant Officer 5. The correct way to address a Chief Warrant Officer 5 named Mr. Gutierrez is "Mr. Gutierrez or Chief Gutierrez", or written as CW5 Gutierrez. In formal situations, a Chief Warrant Officer 5 should always be addressed by their full rank. A Captain is a commissioned officer at company level, and will generally serve as a Company Commander in control of 62 to 190 soldiers. As a Company Commander, Captains will be placed in charge of the tactical and everyday operations of their troops, assisted by several junior commissioned officers and one or more senior non-commissioned officers. Captains may also have teaching roles at combat schools or special training sessions as well as serve as staff officers at battallion level command posts. Captain is the 21st rank in the United States Army , ranking above First Lieutenant and directly below Major. A captain is a Commissioned Officer at DoD paygrade O-3, with a starting monthly pay of $4,144. A Captain is most often promoted from First Lieutenant (1LT), although promotion from lower paygrades may occur with sufficient display of leadership and experience. Click here to learn more about promotion to Captain. The correct way to address a Captain named Mr. Williams is "Captain Williams", or written as CPT Williams. In formal situations, a Captain should always be addressed by their full rank. Major is the first field officer rank in the United States Army, ranked above Captain but below Lieutenant Colonel. Majors usually serve as specialized executive or operations officers for battallion-sized unit of 300 to 1,200 soldiers, but they may also be found leading specialized companies, such as Service Support and Special Operations units, or serving as staff officers in high-level command posts. Most Majors attend the Command and General Staff School in Kansas for a ten-month course before beginning their commission. Major is the 22nd rank in the United States Army , ranking above Captain and directly below Lieutenant Colonel. A major is a Field Officer at DoD paygrade O-4, with a starting monthly pay of $4,713. How do you become a Major? A Major is most often promoted from Captain (CPT), although promotion from lower paygrades may occur with sufficient display of leadership and experience. Click here to learn more about promotion to Major. What is the proper way to address a Major? The correct way to address a Major named Mr. Weber is "Major Weber", or written as MAJ Weber. In formal situations, a Major should always be addressed by their full rank. A Lieutenant Colonel is the second field officer grade commissioned officer rank. A Lieutenant Colonel generally serves as a Battalion Commander of a battalion consisting of 300 to 1,000 soldiers. As a Battalion Commander, Lieutenant Colonels are assisted by one or more Majors, many junior non-commissioned officers, and a Command Sergeant Major as principal enlisted advisor. A Lieutenant Colonel may also serve as an Executive Officer or Staff Officer in a variety of high-level units or command posts. It will generally take an officer 16 to 22 years to rise to the rank of Lieutenant Colonel. As a result, many career officers who are eligible to retire after 20 years of active service retire with the rank of Lieutenant Colonel. Lieutenant Colonel is the 23rd rank in the United States Army , ranking above Major and directly below Colonel. A lieutenant colonel is a Field Officer at DoD paygrade O-5, with a starting monthly pay of $5,462. How do you become a Lieutenant Colonel? 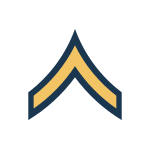 A Lieutenant Colonel is most often promoted from Major (MAJ), although promotion from lower paygrades may occur with sufficient display of leadership and experience. Click here to learn more about promotion to Lieutenant Colonel. What is the proper way to address a Lieutenant Colonel? The correct way to address a Lieutenant Colonel named Mr. Garelick is "Colonel Garelick", or written as LTC Garelick. In formal situations, a Lieutenant Colonel should always be addressed by their full rank. Colonel is the senior field-officer grade commissioned officer rank, directly above Lieutenant Colonel and below Brigadier General. Colonels typically command a brigade-sized unit consisting of 3,000 to 5,000 soldiers, with the assistance of several junior commissioned officers and a Command Sergeant Major as a primary non-commissioned officer advisor. Colonels may also be responsible for leading division-level special agencies. Almost all Army Colonels receive special training at the Army War College in Pennsylvania, which graduates over 200 Army officers a year. Colonel is the final "stepping stone" rank before the General Officer ranks, and Colonels showing exceptional skill and leadership are often promoted to Brigadier General. Colonel is the 24th rank in the United States Army , ranking above Lieutenant Colonel and directly below Brigadier General. A colonel is a Field Officer at DoD paygrade O-6, with a starting monthly pay of $6,552. What is the proper way to address a Colonel? The correct way to address a Colonel named Mr. Williams is "Colonel Williams", or written as COL Williams. In formal situations, a Colonel should always be addressed by their full rank. 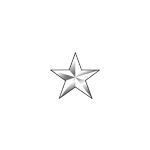 A Brigadier General is a one-star General Officer grade rank, and the lowest-ranking of the General Officer ranks. A Brigadier General serves as the advisor and Deputy Commander to a Major General commanding a division-sized unit of 10,000 to 15,000 soldiers, and assists in overseeing the tactical planning and coordination of division operations. Brigadier General is the 25th rank in the United States Army , ranking above Colonel and directly below Major General. A brigadier general is a General Officer at DoD paygrade O-7, with a starting monthly pay of $8,641. What is the proper way to address a Brigadier General? The correct way to address a Brigadier General named Mr. Jones is "General Jones", or written as BG Jones. 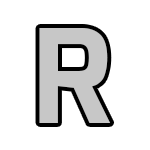 In formal situations, a Brigadier General should always be addressed by their full rank. 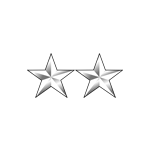 Major General is a two-star General Officer rank, and the highest permanent peacetime rank in the Army. A Major General commands a division-sized unit of 10,000 to 15,000 soldiers. A Major General can only be appointed through a stringent process of nomination and review by multiple offices and promotion boards. Officers receiving a commission as Major General are required to retire after five years of commission, or after 35 years of total service, unless promoted or reappointed. Major General is the 26th rank in the United States Army , ranking above Brigadier General and directly below Lieutenant General. A major general is a General Officer at DoD paygrade O-8, with a starting monthly pay of $10,399. What is the proper way to address a Major General? The correct way to address a Major General named Mr. Weber is "General Weber", or written as MG Weber. In formal situations, a Major General should always be addressed by their full rank. 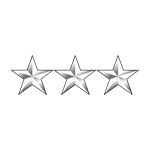 General is a four-star General Officer rank, and the highest rank attainable by an officer besides the wartime-only General of the Army rank. 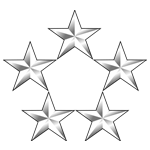 The Army can have a maximum of seven four-star generals at any one time, with several of these slots filled permanently, like the Army Chief of Staff, who is a four-star general. A General typically has over 30 years of Army experience, and commands all operations taking place within their geographical area. General is the 28th rank in the United States Army , ranking above Lieutenant General and directly below General of the Army. A general is a General Officer at DoD paygrade O-10, with a starting monthly pay of $15,800. The correct way to address a General named Mr. Gutierrez is "General Gutierrez", or written as GEN Gutierrez. In formal situations, a General should always be addressed by their full rank. General of the Army is the 29th rank in the United States Army , ranking above General. A general of the army is a General Officer at DoD paygrade O-10, with a starting monthly pay of $15,800. What is the proper way to address a General of the Army? The correct way to address a General of the Army named Mr. Gutierrez is "General Gutierrez", or written as GA Gutierrez. In formal situations, a General of the Army should always be addressed by their full rank.